It's a grind to catch Mew, but it's rewarding to fill Pokedex #151! 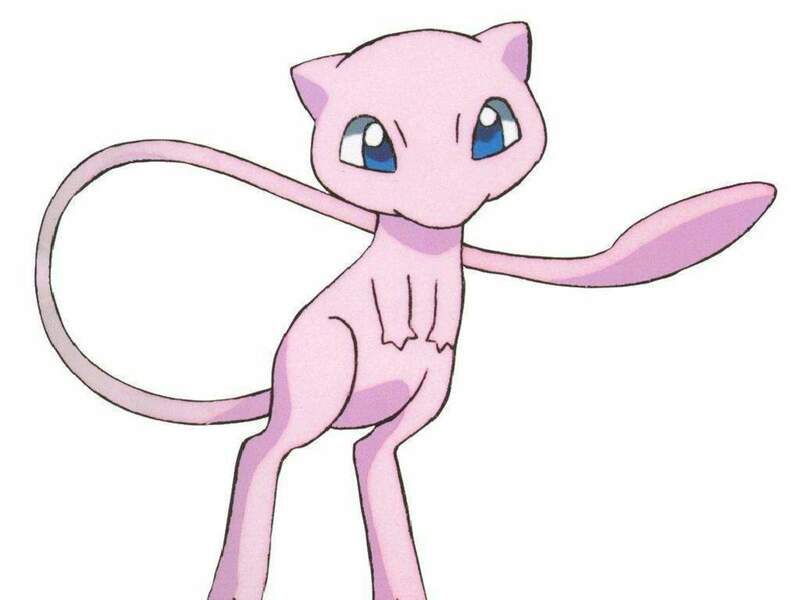 While not the best Pokemon for combat, Mew is still an icon that is an essential addition to your Pokedex. 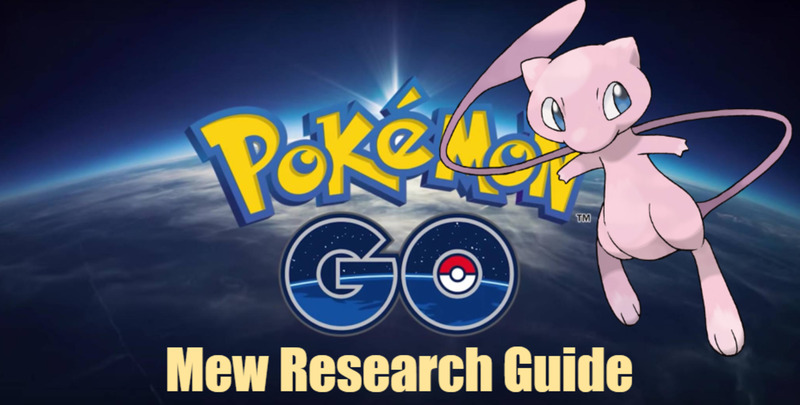 Niantic has decided to release Mew via "Special Research", which is a series of tasks you have to complete in stages in order to unlock a bunch of different rewards, and ultimately a Mew. It can take quite a long time to complete, but with this guide you should be able to complete it quicker. Set a Magikarp as your buddy Pokemon! You will need it for Stage 6 as you'll have to evolve a Magikarp into Gyarados. This is one of the most challenging steps, so start saving candy now! Use a Pokemon that only requires 1 kilometer walking distance to gain a candy. I've already recommended you set a Magikarp as your walking buddy so this should be fine. If you already have enough to make a Gyarados, I would recommend walking what you need to evolve and hoping you can finish 2 candy before you hatch 3 eggs. If not that, then you can consider Geodude because Golems are incredibly useful in raids, or Pidgey as they're common and great for evolution experience. This isn't likely to be your barrier for getting to Stage 3, but regardless I would focus on finding Pokemon that you can easily get Great Throws on. Raid bosses are a great choice if nothing else. Obviously this one is easier if you spend on incubators or happen to have extra from grinding. Pop your 2km eggs into an incubator and just walk. If you happen to get GPS drift on your device, you could also leave your phone open and rack in some distance that way. You can also pick up small amounts of distance while driving either when stopped or when your GPS is figuring out where you are and briefly stops registering you are moving quickly. The fastest way to level up is to do raids, evolutions, or push friend levels. By evolutions I mean popping a lucky egg and evolving all the easy to evolve stuff like pidgeys or caterpie as quickly as you possibly can. You can earn around 60,000xp in 30 minutes this way. It is quite tedious, raids tend to be more fun. Either way level 15 is fairly easy to achieve. I would also recommend picking up a bunch of friends as friend experience bonuses are pretty insane with 10,000xp at great, 50,000xp at ultra, and 100,000xp at best. For a full breakdown of how to power level as quickly as possible check out my power leveling guide. Fairly easy, keep in mind you get 1 free raid per day, but how it actually works is that you can CLAIM 1 free raid pass per day. Meaning you can claim one, keep it in your inventory, then 24 hours or more later, do a raid using that pass and immediately claim a 2nd one and do 2 raids in a day. I recommend doing this if you don't raid regularly just to save yourself some time. This requires registering 50 Kanto Pokemon in your Pokedex. This is not overly challenging and you likely already have it by the time you get here. If you don't, I'd recommend spamming Pinap Berries like crazy to reach all your evolutions, checking out local nests or biomes to find stuff you don't already have, or just generally trading with a friend to get what you need. This is not difficult, but it is important to keep in mind that doing evolutions with a Lucky Egg is one of the best ways to level up. 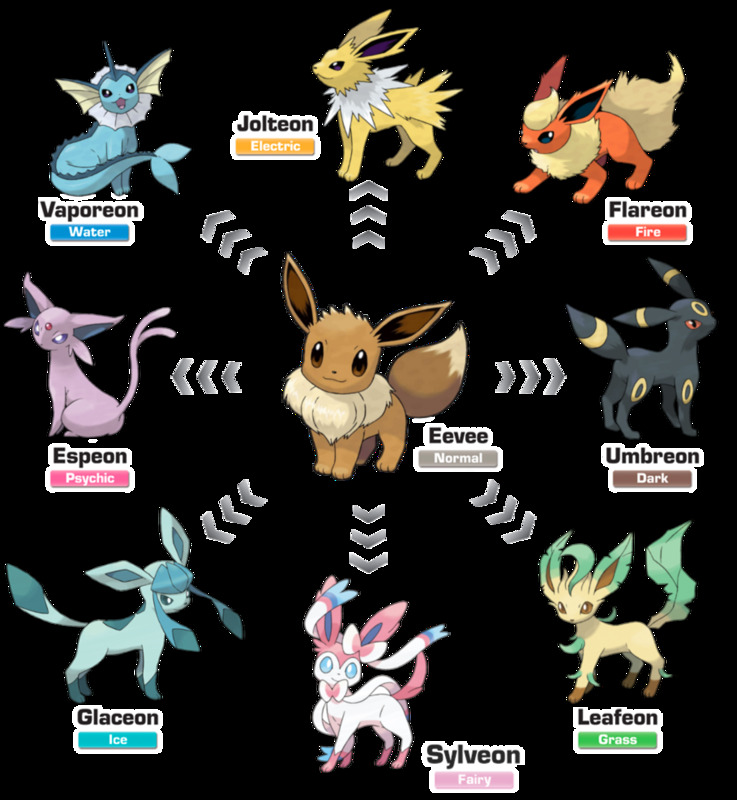 I'd recommend doing these evolutions as part of that as later stages do require you to hit higher levels. You should still be walking your Magikarp so just keep it up. 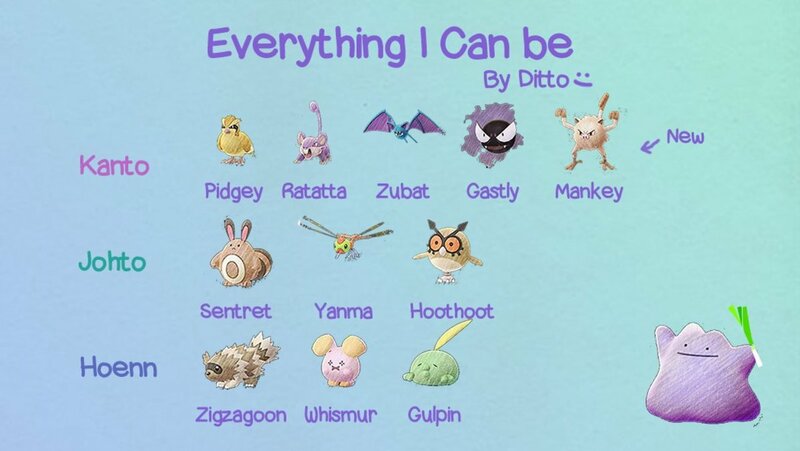 Pidgey, Ratatta, Zubat, Gastly, Mankey, Sentret, Yanma, Hoothoot, Zigzagoon, Whismur, and Gulpin. UPDATE: You can currently catch a Ditto from the field research quest "Make an Excellent throw" Remember that field research quests rotate daily per Pokestop, so if you find one, anyone can go to the Pokestop to get the quest for the rest of the day. This one is also tough because Ghost Pokemon mostly spawn at night. The best way to get through this one is too find a local nest of Ghost Pokemon. There are websites out there that try to keep updated lists of nests. Your only other options are to play more at night, or look for the regular Pokestop quest that rewards Ghastly which is "Make 3 Great Throws". This is just a little bit of a grind, again just focus on finding stuff you can easily hit Greats with, or do some raids where you'll have many opportunities to throw balls. Again, follow what I've said before about leveling up. Basically, do your evolutions all at once with a Lucky Egg, do as many Legendary Raids as you can, and keep up with sending friend gifts every day. This is potentially the worst task. Your options are somewhat limited and it will always be a grind, but you can speed it up. -- Look for a Magikarp nest and water areas where you'll find more Magikarp. -- Trade Magikarp to get even more candy, up 3 candy per trade if the catch locations were greater than 100km apart. -- Do any Magikarp raids you see. -- Pinap every Magikarp you find. 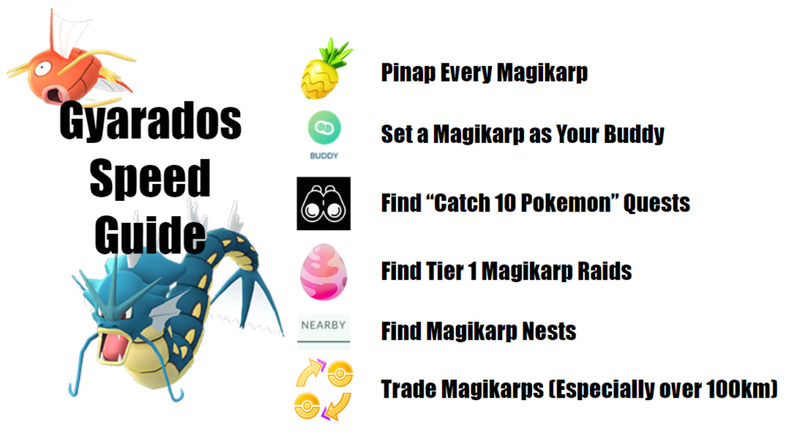 -- Find the "Catch 10 Pokemon" quest at PokeStops as it will reward a Magikarp. Same as before, just a simple grind. This is likely to be less restrictive than evolving a Magikarp. It's a grind, but you can speed up how quickly you can evolve a Magikarp into a Gyarados in pokemon Go. This one is just a grind, you have to actually catch the Pokemon so if you're really looking to do this fast I would use Razz Berries and consider using the catch animation skipping glitch. If you haven't used this before, the trick is to tap and hold the berry icon, drag it slightly away, then while holding it throw your Pokeball. Then release the berry icon and the UI will return, tap the top left corner to hit the escape button. Check out the video below. Same as with the silver. This isn't too hard but can start to get trickier. Raid bosses tend to be easiest, but large and close Pokemon can also be good as well like a Wailmer for example. Catch Mew! Congratulations you did it! 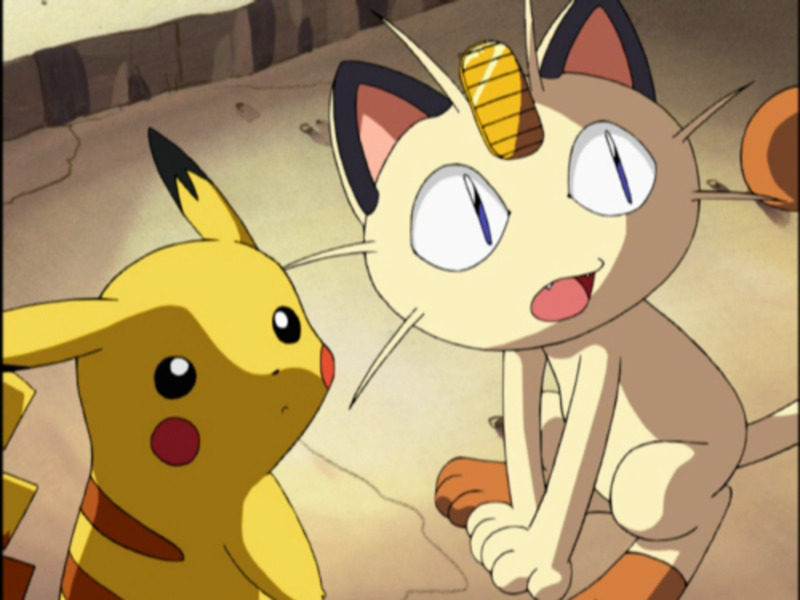 Don't worry, Mew can't escape from you so you won't miss out, but it can be kind of tough to catch! To note, maximum catch CP is 1324 and anything above 1300 is going to be 90%+ IV. Of course, not that you're catching Mew to play a strong role in a raid team, but regardless it can feel good to find a good IV one. Also, Mew has a ton of different moves with 25 charged moves and 14 quick moves. 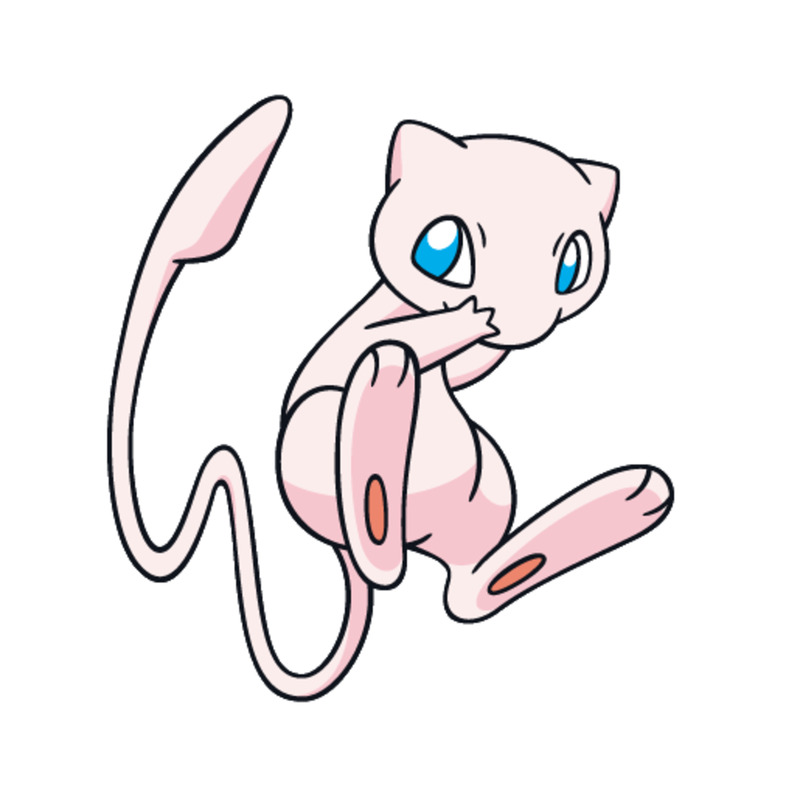 Again a perfect moveset doesn't suddenly make Mew great for combat, but it is interesting nonetheless. 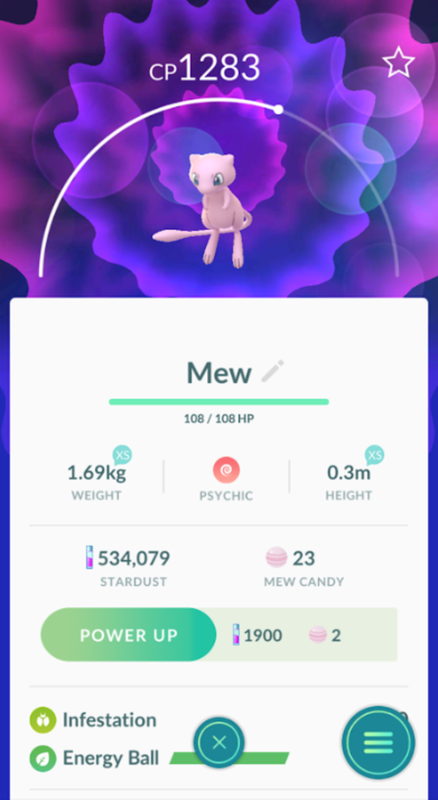 Not a great IV, but still a Mew! How to Catch Mew in "Pokémon Go"
Nope :( But I have a few stops and gyms on my work campus so I get to stay active pretty easily. I've been to Shinjuku and it was awesome! So much stuff everywhere! Wish where I lived was more like that. Yes, in some places like Shinjuku there are Poke stops every couple of steps, it’s pretty insane. Halloween brought lots of events as well. If I had a contract with more data on my phone, I’d probably be a master by now! Are there a lot of Poke stops where you live? Thank you! 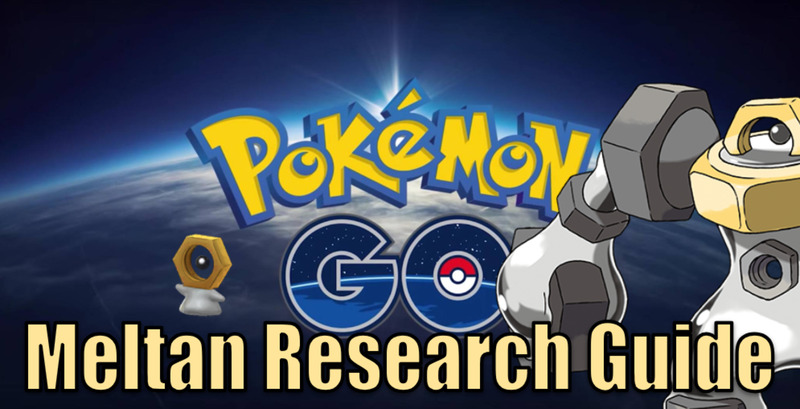 You have to at least finish Gen 1 ^^ If you're in Tokyo it should be even easier for you! What a fantastic article! I stopped playing Pokémon Go a while ago because it used up too much data, but I might seriously consider playing again if it means I can catch Mew. 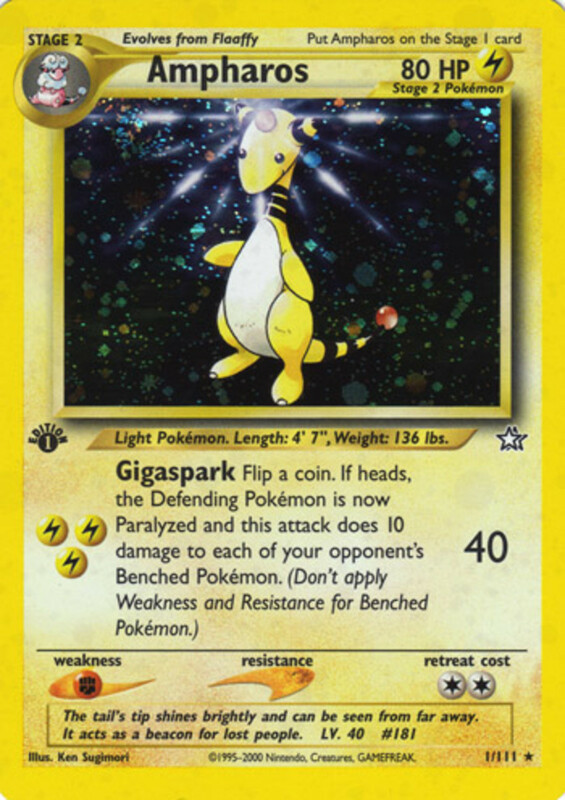 It truly is an iconic Pokémon, especially for those who grew up watching the anime and playing the games back when Mew and Mewtwo were almost the only legendaries. 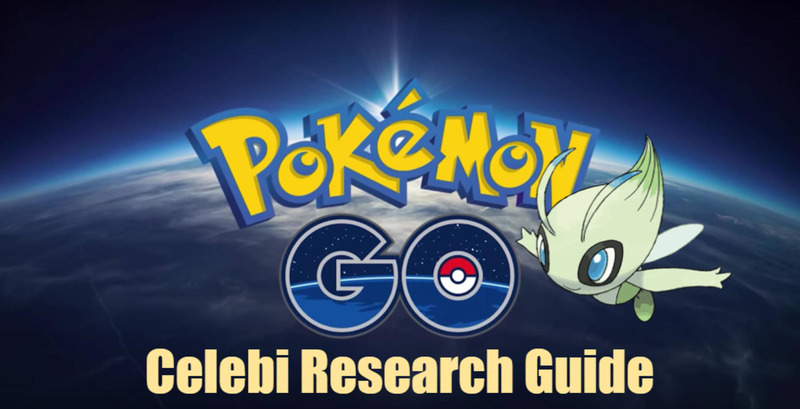 With this guide, lots of Pokémon fans will easily be able to catch this cutie! Thank you for the wonderful information.